We’re still somewhere between “coming in like a lion” and “going out like a lamb” but yesterday was as nice a March day as one could hope for. 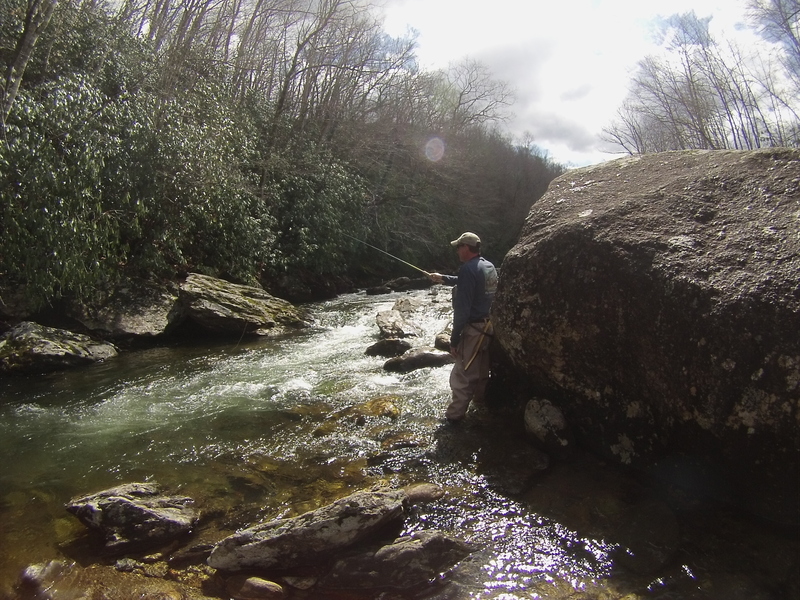 Check out this relaxed tenkara newcomer, leaning back on a rock in the sunshine and putting the beautiful, long reach of his tenkara rod to good use on some unsuspecting trout. 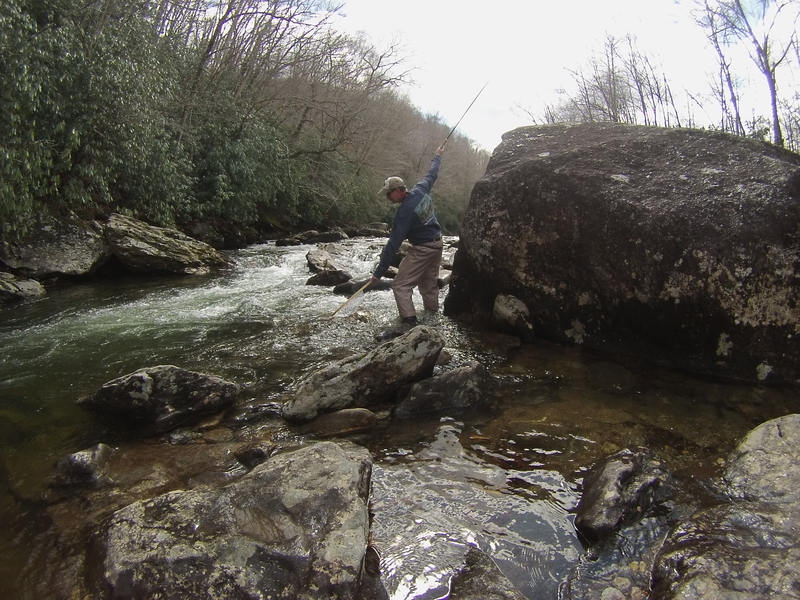 We had just enough bug activity that we fished dries most of the afternoon and ended up with a nice “Appalachian Slam” of Browns, Rainbows and Brookies. If you’re thinking about getting out…do it!